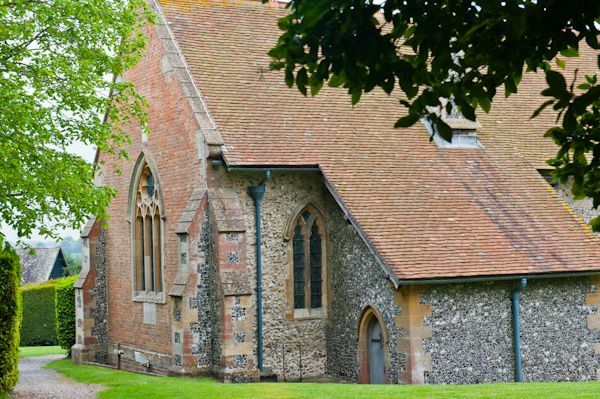 A mainly 14th-century church, famous for a group of mid-14th-century effigies to members of the de la Beche family. There are 9 effigies in the group, dating from the years 1300-1350; seven are knights in armour, while two are ladies in 14th century gowns. 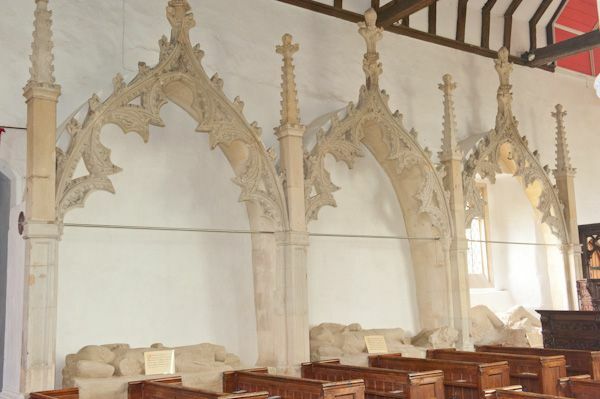 Six of the effigies lie under beautifully carved Decorated canopies (restored in the Victorian period). These are set against the north and south walls, while the remaining three tombs stand under the arcade arches between the nave and the south aisle. 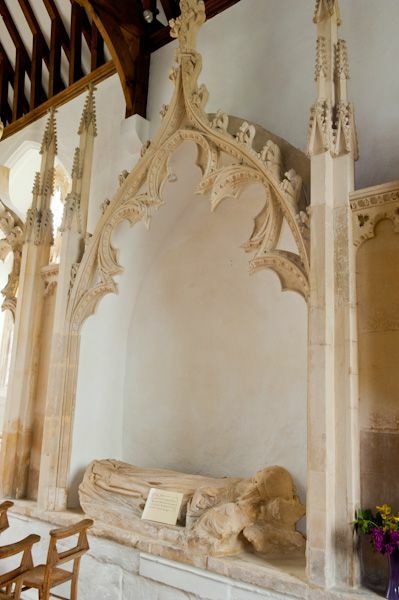 There is one tomb combining the effigies of a couple, Sir John and Lady Isabella, founders of the chapel here. The detail of carving is quite wonderful, though worn, especially the armour worn by the knights. Unfortunately, all of the effigies have been damaged, probably during the Commonwealth period. 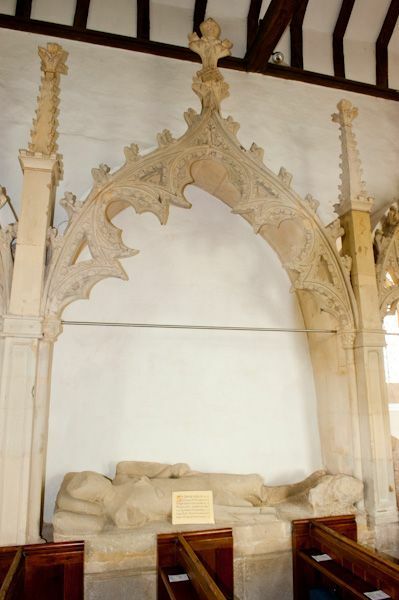 The effigy of Sir Philip de la Beche, found on the north side, is extremely large, and is in a reclining pose. 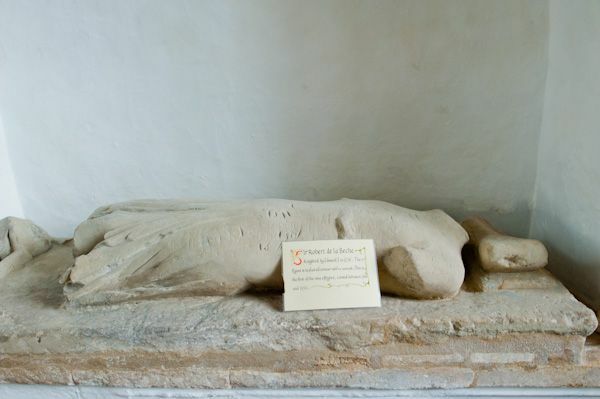 Though common by the Jacobean period, it is extremely rare to see an effigy in the medieval period in such a pose. Sir Philip served as valet to Edward II, and while there is no historical record to suggest that he was actually as large as his effigy suggests, if he was, he was a very large man indeed - about 7 feet tall! Apparently, Sir Philip went about with a dwarf, to further emphasize his own size and importance. 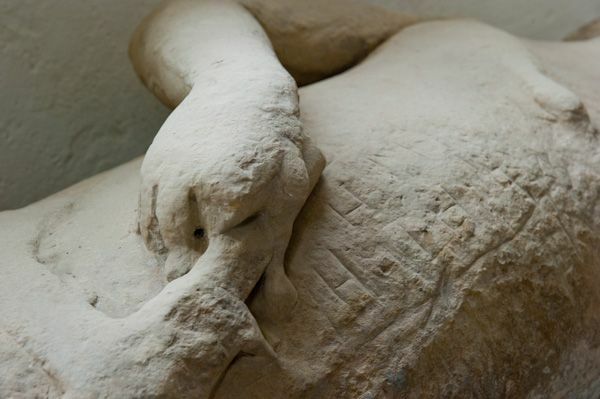 A small seated figure of a dwarf is set by the foot of Sir Philip's effigy. 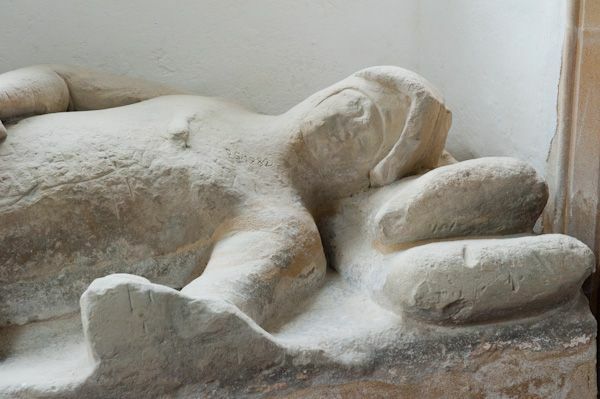 In reference to the effigy of Sir Philip, the effigies as a whole are often called 'the Aldworth Giants'. There used to be another effigy, located in an external niche, but this has long since vanished. According to an account by one Colonel Symonds, who served under Charles I and visited Aldworth in 1644, Queen Elizabeth I also visited Aldworth to see the Giants, accompanied by her favourite, Robert Devereux, Earl of Leicester. 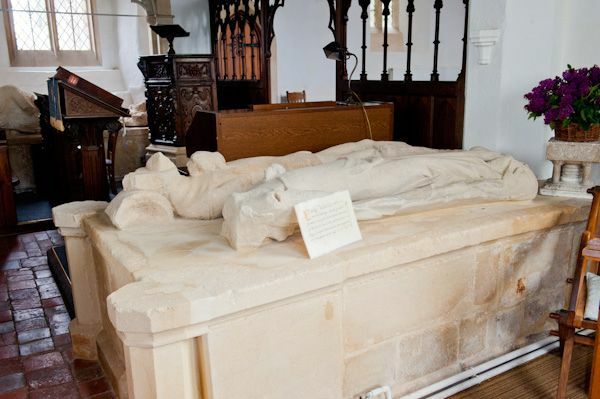 An amusing tale, related by Colonel Symonds, says that villagers at that time called four of the effigies 'John Long, John Strong, John Ever Afraid, and John Ever Lasting. As for the church itself, it is composed of a 12th-century nave and tower, with an early 14th century south aisle and chancel. To these medieval remains have been added a 19th-century east wall and a south porch. The oldest part of the building is the lower section of the tower. The font is Norman, in a 'flower pot' design, and the pulpit is Jacobean. 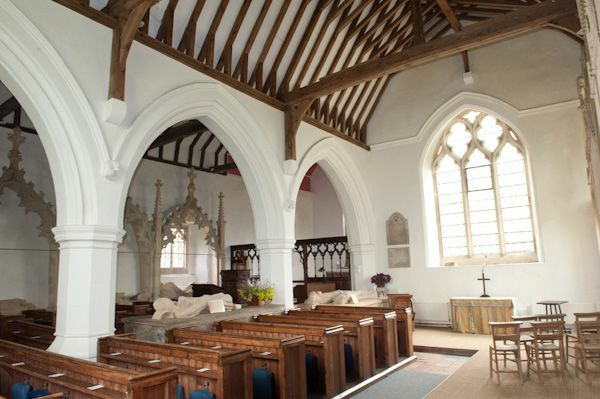 Alfred, Lord Tennyson lived in Aldworth for a time and worshipped in St Mary's. He married Emily Sellwood, whose family lived at Pibworth Manor. Near the church, inside a rusted railed enclosure, is the table tomb of Emily Sellwood's grandparents. Tennyson is said to have loved the area, and when he was granted his title he became Lord Tennyson of Freshwood and Aldworth. He also named his house at Hindhead after Aldworth village. Also in the churchyard is the grave of Lawrence Binyon, authour of the poem, 'For the Fallen'. 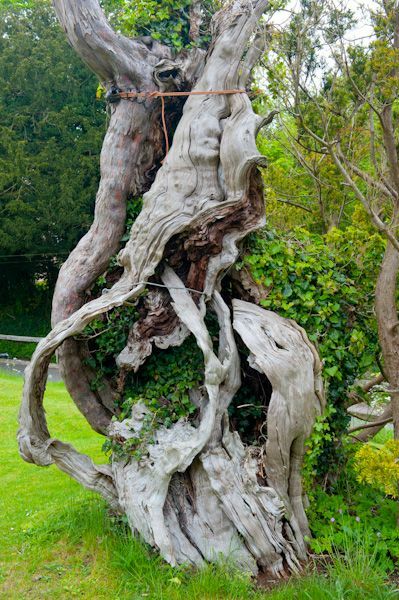 Also in the churchyard is a yew tree thought to be over 1,000 years old, which may make it the oldest tree in England (though the same has been said of yews in other locations!). Local tradition says that King Alfred had bows made from the wood of this ancient tree, which, if true, would make it over 1150 years old. 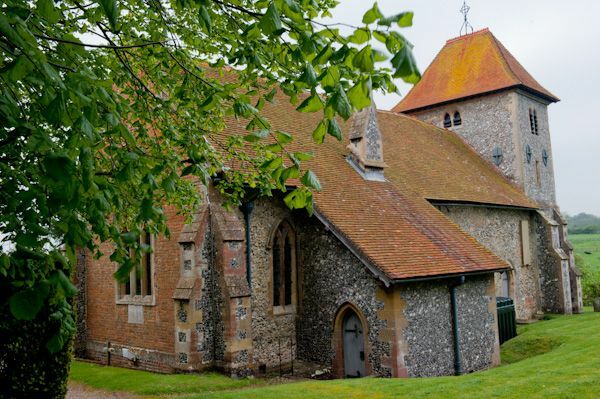 St Mary's, Aldworth is mentioned in the popular book, 'England's Thousand Best Churches', by Simon Jenkins. I must say, that having finally made the trek to Aldworth, it is a memorable church. The setting is wonderful, in idyllic countryside. 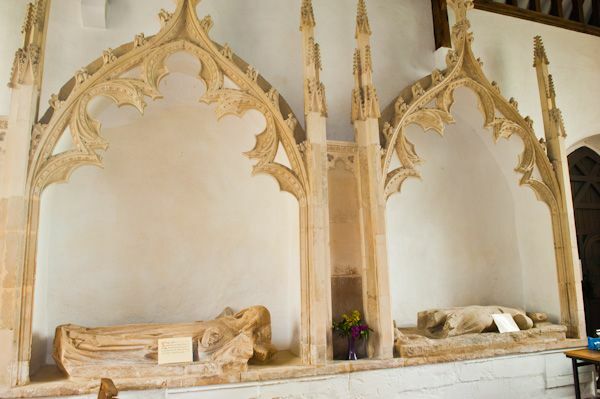 But my abiding memory is of the astonishing Aldworth Giants; they really are quite marvellous, and the way they are displayed in highly ornamented tomb niches is quite striking. 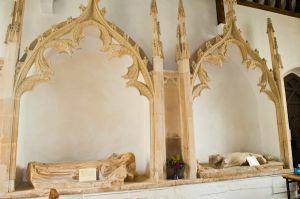 Aldworth is well worth a visit.